Once upon a time way back in the 1990s, in the far-away kingdom of Denmark, the LEGO Model Team theme was born — a theme so brilliant, none of the sets was ever called disappointing or failed. But one day the theme was violently discontinued with no hope that it would be brought back. For many years, both young and adult LEGO builders cherished their dreams about seeing those sets in toy stores again. 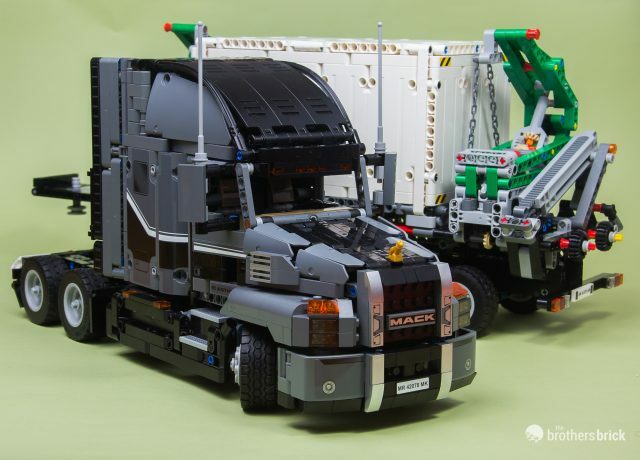 And it looks like the much-needed flash of hope is finally here: LEGO Technic 42078 Mack Anthem seems to be an example of a nearly flawless toy and display model. The set is the fifth biggest in the history of the LEGO Technic theme, counting 2,595 pieces. The Mack Anthem features no costly Power Functions or pneumatics elements, so its retail price of £139.99 / $179.99 / 149.99€ makes it the most reasonable choice for pure brick volume among LEGO Technic sets of the first half of 2018.